We are told that at 10 kts cruise the fuel burn is 75 l/h total for both engines and at19 kts, 300 l/h. 1 KOHLER 20 KVA - 1500 rpm. The pedigree is unquestionable and Canados is a renowned builder of luxury motor yachts. From the spacious and well protected aft deck we access the saloon via “French Window” type doors. Vast saloon with stairs aft to a twin bed cabin (plus third drop down pullman berth). A heads & shower room also equipped with washing machine. Forward via a watertight door the machine room. Moving back up to the saloon the quality of the original Canados woodwork is very apparent as is the feeling of space and light from the huge deep windows. Forward to starboard is the galley with a four burner gas hob and integrated plancha. The galley can also be accessed directly from the starboard side decks allowing access for crew or caterers without passing through the accommodation. Forward again is the helm and to starboard of the helm a dinette. Down from this area to the forward cabin spaces with one twin cabin, one triple (with a pullman berth as in the aft cabin) and finally the vast owners suit forward. All cabins have ensuite heads & showers. Single beds are 70 x 190 and the owners double is 160 x 190. All spaces are temperature controlled by reverse cycle air-conditioning and can be heated by electric radiators whilst on shore power or generator. Hot water is supplied by a 100 litre immersion tank. Motor Yacht for sale in France. Boatshed Paris is pleased to offer this Canados 70 motor yacht for sale in the Paris region with possibility to retain the live aboard mooring subject to marina approval. Presently used as a live aboard yacht the vessel has been kept in cruising condition. Well able to cruise the River Seine and Europes other important rivers she is currently registered on the French Maritime flag. Eligible for other European flags including British SSR she is ready to move into as a pieds-à-terre in pleasant surroundings with easy access to Paris centre by road or RER or why not an original AirBnB? Some maintenance work to catch up on but our vendors are open to sensible offers on the asking price. For more information and appointments to view please contact Pascal GAETAN your local broker at Boatshed Paris. 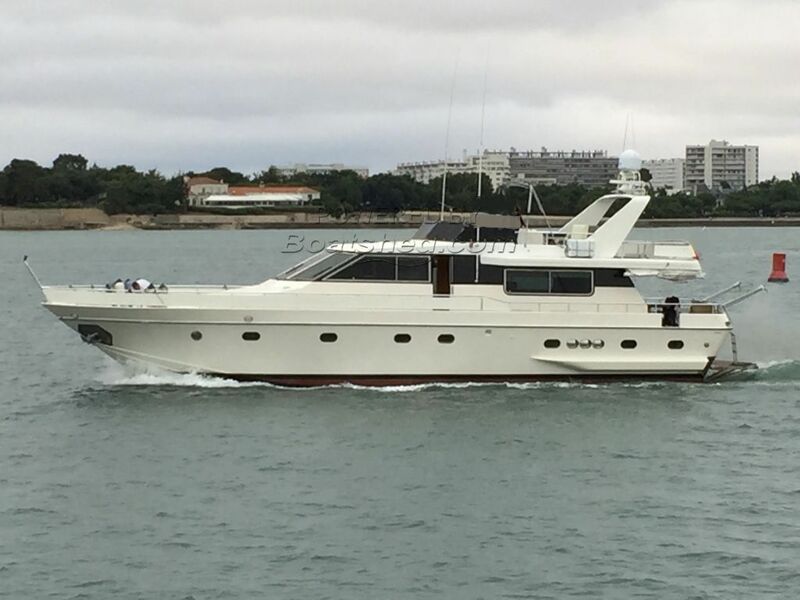 This Canados 70 Motor Yacht has been personally photographed and viewed by pascal GAETAN of Boatshed Paris. Click here for contact details.